Former IronPigs outfielder Roman Quinn was assigned to Lehigh Valley from the Philadelphia Phillies on a Good Shepherd Rehabilitation assignment. He didn't disappoint as he broke a 1-1 tie in the bottom of the eighth inning. His go-ahead RBI single off RailRiders pitcher Jake Barrett (0-1) gave the IronPigs a 2-1 lead. They went on to defeat the RailRiders 3-1 and secured a series win in the team's first set of the season. 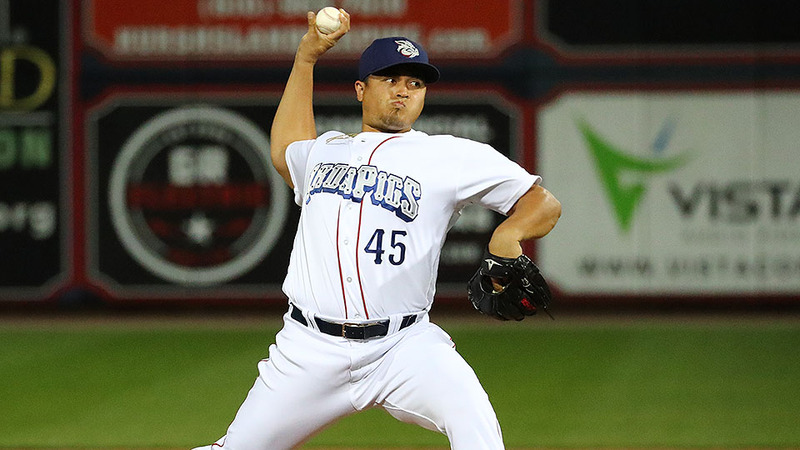 IronPigs starting pitcher Cole Irvin was solid through six innings on Wednesday night but did give up a run in the top of the third inning. RailRiders first baseman Mike Ford hit an RBI double to score Billy Fleming and give Scranton/Wilkes-Barre a 1-0 lead. The Pigs struck back in the bottom of the fifth inning off Nestor Cortes. Catcher Deivy Grullon hit an RBI double with two outs to score Mitch Walding and tie the game at 1-1. Lehigh Valley secured another run in the bottom of the eighth inning off Barrett as Jan Hernandez hit an RBI double to score Quinn and give the Pigs a 3-1 lead. Victor Arano (2-0) got the win as he recorded three strikeouts in one inning of work. Josh Martin earned his second save of the season by recording the final out of the game. The IronPigs start a seven-game road trip beginning on Thursday night in Rochester. The Pigs return home to play Rochester on Thursday, April 18 at 7:05 p.m. That evening will be "Major League" Night at Coca-Cola Park featuring a Pedro Beato "Jobu" bobblehead giveaway. Arrive early as gates will open at 5 p.m. for an extended pre-game happy hour featuring $1 hot dogs and $2 domestic drafts.